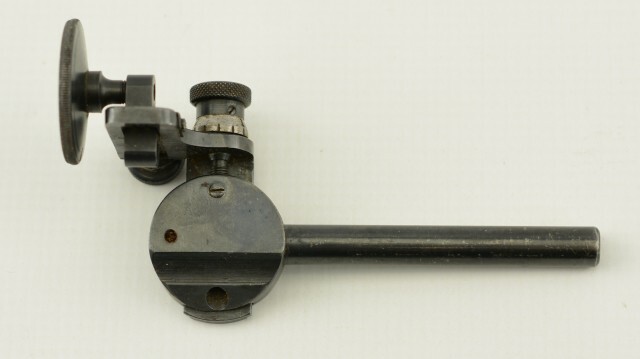 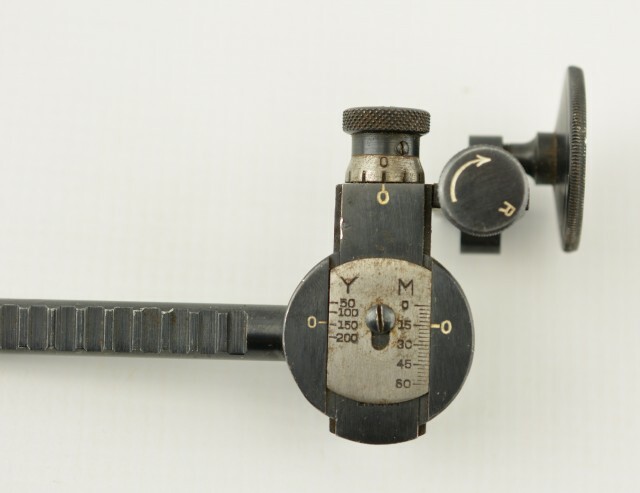 Description: This sight is a sight for the Winchester Model 52, and features: a dual position aperture (both above and below the crossbar), 200 yd. 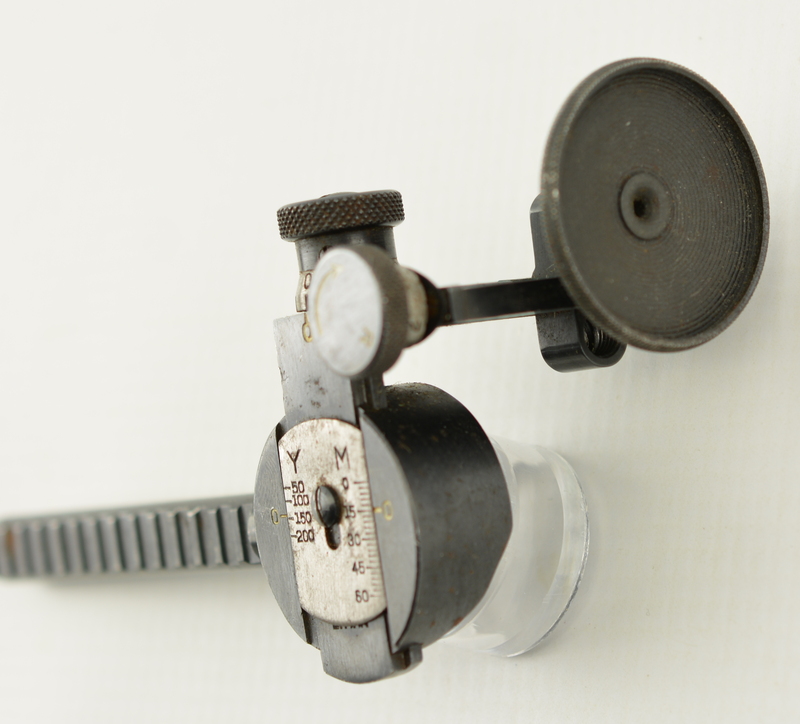 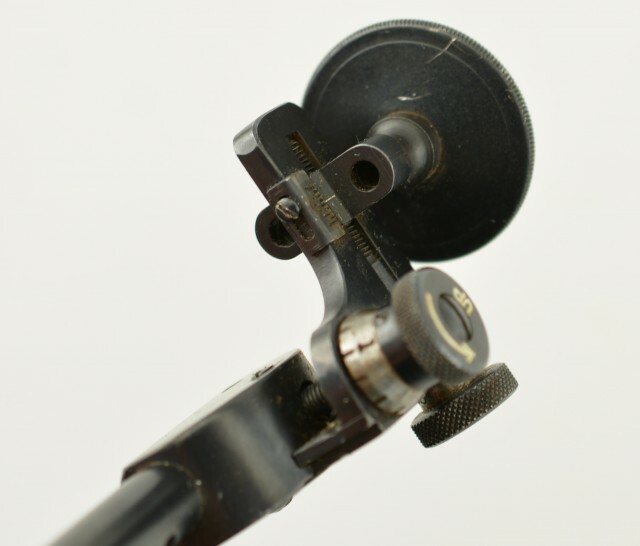 click-adjustable target knobs, and a toothed mounting arm, adjustable for eye relief. 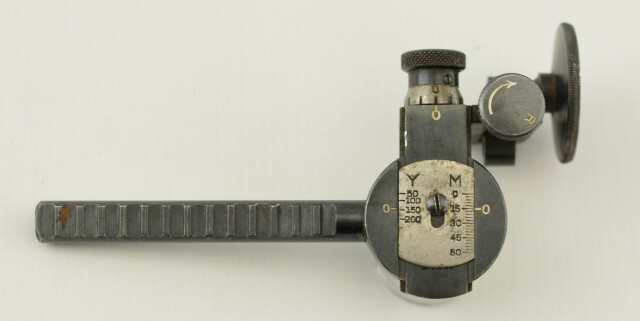 The sight retains 95-97% of the original blue finish with some mild fading along the high and projecting edges, as well as some small spots of freckling here and there. an original 1 1/4” aperture disk is included, but the mount is not.